We promised the kids hot chocolate at the top of Sulphur Mountain, but ten minutes into the hike, we're hot! After shedding a layer, we decide lemonade would be oh-so-refreshing, and make guesses on how long it will take to reach the Upper Terminal. In November, we hiked up in an hour and 45 minutes, but spring conditions will make for a slower hike, especially since the girls keep stopping to play in the snow. 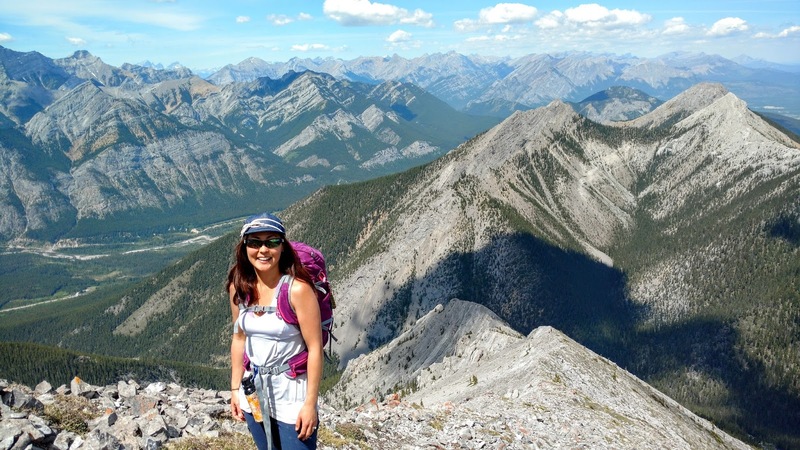 Although the trail is mostly in the trees (making it a good trail for a hot and sunny day), the panoramic views from the top totally make up for it! As we hike beneath the gondola, the girls holler and wave. My oldest mutters that the passengers are "lazy" while my youngest insists they're "smart" and asks if we're almost there. Gazing down at the Lower Terminal, we guess-timate we're more than halfway up the mountain. Since the switchbacks are fairly forgiving (no section is overly steep), we make good time and pass a few hikers that don't have microspikes. Our first stop at the top is Northern Lights Cafe. 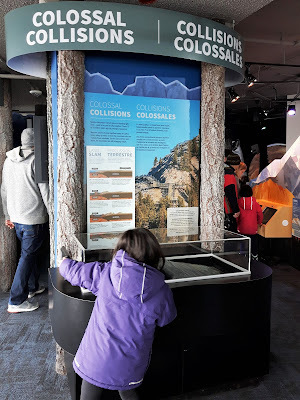 After an ice cold beverage, we explore the interpretive centre, watch a short movie in the theatre, then head up to the Observation Deck for panoramic views of six mountains ranges. Next, we hit the Sulphur Mountain Interpretive Boardwalk and walk 500 metres to the old weather station on Sanson's Peak (2,256 metres / 7,402 feet). Named for Norman Bethune Sanson, who tended the Banff Weather Station for 30 years, the peak is also the site of Canada's highest elevation Cosmic Ray Station (removed in 1981 and marked by a plaque). Although we've been here countless times, we never tire of the view. We gaze across the Bow Valley pointing out mountains we've hiked or want to hike, look down on the Banff Springs Hotel tiny in the distance, then turn westward and admire the Sundance Range. As the sun dips lower in the sky, we make our way to the terminal for a free ride down (only available in the off season from after Thanksgiving to just before May long weekend). The 8-minute ride is scenic and fun - we can't wait to do it again! 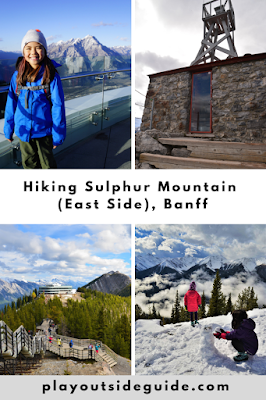 The Sulphur Mountain (East Side) Trail begins at the northwest corner of the Upper Hot Springs parking lot. 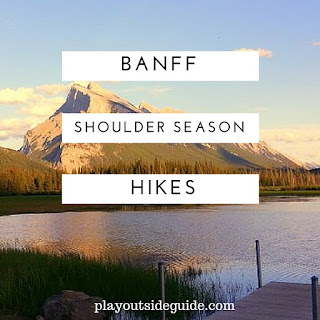 You gain elevation immediately as you hike through the trees on moderately graded switchbacks with occasional views of Mount Rundle and Banff. 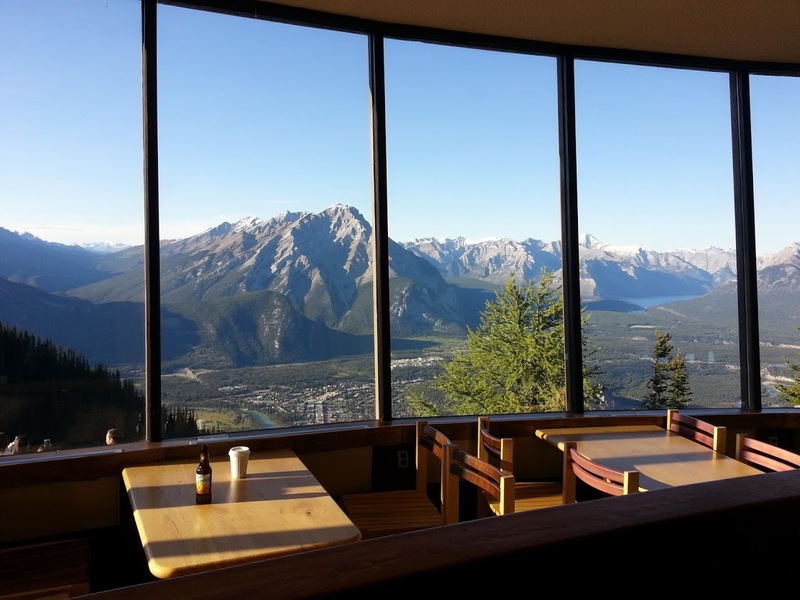 Allow 1.5-2.5 hours to reach the summit of Sulphur Mountain at 2,281 metres (7,486 feet) above sea level. Restrictions: Dogs must be kept on a leash. 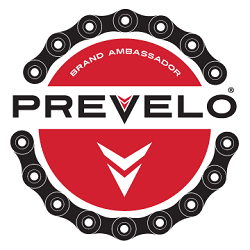 Bikes are not permitted. Directions: Google "Banff Upper Hot Springs" and park in the Upper Hot Springs parking lot. The Sulphur Mountain trailhead is at the northwest end of the parking lot (look for it on the left as you walk towards the hot springs). 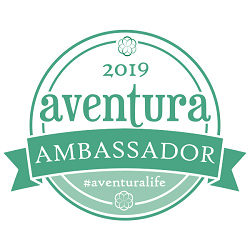 For a prettier, but longer route, start at Cave and Basin and hike up the west side of the mountain via Sundance Trail and the old fire road (Sanson Road). 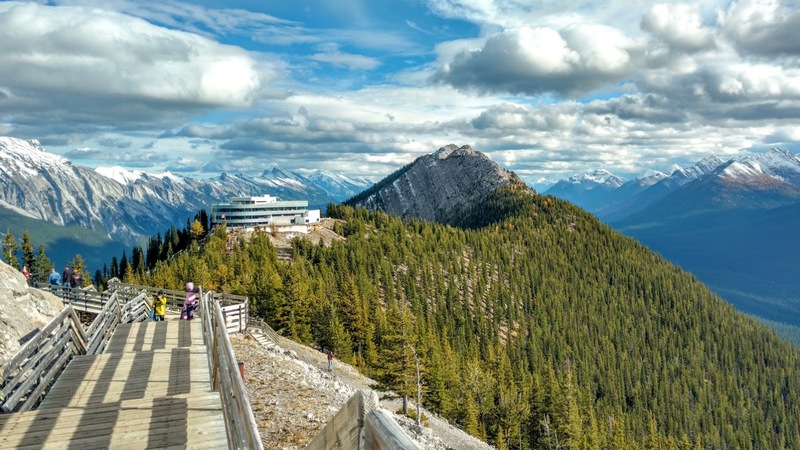 Note: As of April 4, 2019, Sulphur Mountain Westside Trail is temporarily closed. Check the Banff Trail Report before you go for current conditions. Ice cleats / microspikes are recommended from November to April as the trail gets packed down and icy. If you plan to hike up and ride the gondola down, you must purchase a ticket during the summer months. You can ride the Banff Gondola down only for free in the offseason (after Thanksgiving until Victoria Day weekend) or after 7 pm. Dogs are not permitted on the gondola or in the interpretive centre. Amenities at the Upper Terminal include Northern Lights Cafe (casual dining), Sky Bistro (fine dining), gift shop, interpretive centre, theatre, observation deck, and washrooms. 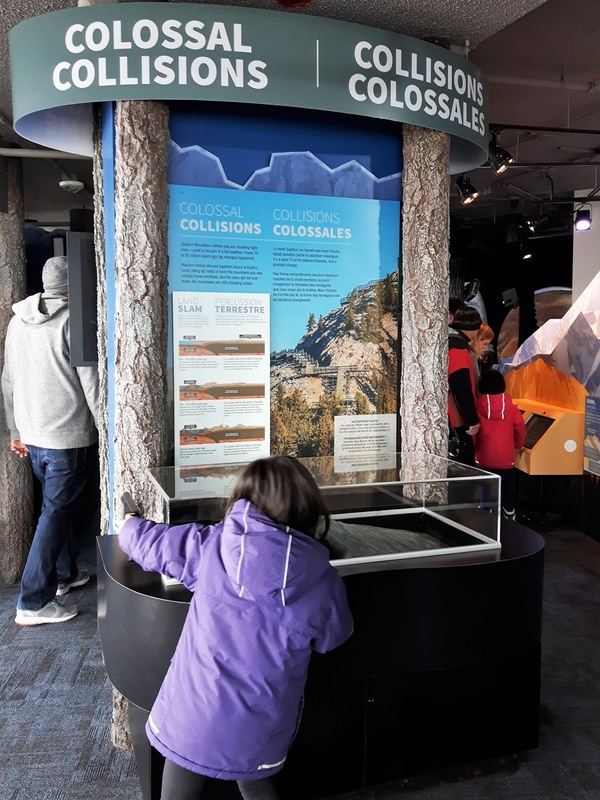 Visit Pursuit Banff Jasper Collection - Banff Gondola for gondola tickets, special events, or dining information.